A new book to add to the successful 'Bauble Book' series, telling the Christmas story from another perspective. Simeon & Anna's Christmas retells the Christmas story from Simeon and Anna's point of view. Bauble books make excellent stocking fillers and/or giveaways for churches looking to share the Christmas story with children in their community. Herod's Christmas retells the Christmas from Herod's point of view. The beautiful artwork makes it an attractive Christmas tree bauble as well as a great read for children under 8. The book comes with a thread to hang it on a Christmas tree and is part of an 8 book series (the whole collection looks very attractive on the tree!). The story is age appropriate for under-8s and sticks closely to the Bible in its retelling. It is ideal for use with all children, but is good to introduce the real Christmas story to those with little or no church background. Simeon & Anna's Christmas by Taylor, Alex; Hutchinson, Joy was published by Scripture Union Publishing in September 2015 and is our 9077th best seller. 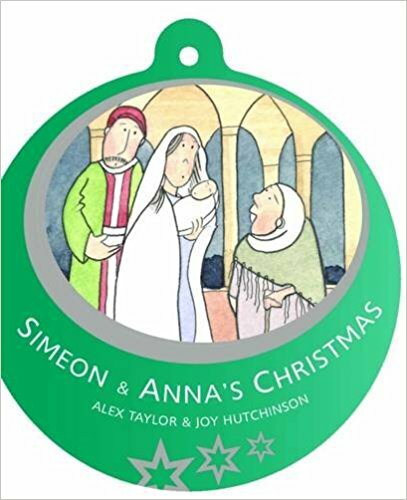 The ISBN for Simeon & Anna's Christmas is 9781785062667. Be the first to review Simeon & Anna's Christmas! Got a question? No problem! Just click here to ask us about Simeon & Anna's Christmas.